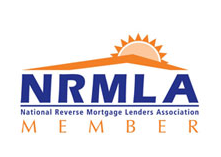 Yes, you can purchase a home today with a reverse mortgage! How does that work? The FHA Home Equity Conversion Mortgage (HECM) for Purchase or Reverse Mortgage for Purchase allows individuals the ability to purchase an owner occupied property with about a 50% down payment (based on lending limits) and have no monthly mortgage payments for life on the balance! Yes, that is correct, just responsible for the property taxes, homeowners insurance, HOA fee (if applicable) and maintenance of the home. All standard requirements, for any other regular home loan. This government insured loan program Introduced as part of the Housing & Economic Recovery Act of 2008 and effective as of January 1, 2009 allows individuals to purchase a primary residence without paying all cash or getting a loan with payments. This can be an effective way to increase cash reserves or improve cash flow in your later years of life. Presently, there are no debt to income ratios (just a minimum monthly residual calculation) or credit score qualifications, however there are minimum financial assessment requirements that must be met for the loan. It allows the buyer to complete the purchase in one transaction rather than purchasing then refinancing into a reverse mortgage. This reverse mortgage purchase transaction is still relatively unknown amongst Realtors and buyers today so call now at 1-888-323-3555 to get all the details.